This past Wednesday, late in the day,Â my wonderful publicist, Frances Bedford, picked me up at my office for a drive to Grimsby.Â I piled into the back seat because the one and only Paul Quarrington was in the front seat. 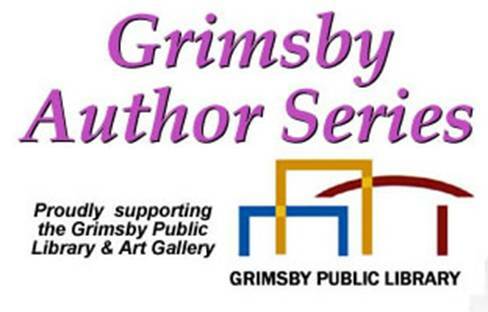 Yes, I drove to the Grimsby Authors Series night with one of my Canlit heroes.Â I tried not to be the gushing author stalker but it was a challenge given that I dragged into the back seat with me a backpack filled with my first editions of all ten of his wonderful novels.Â I’d been collecting his novelsÂ long before I ever contemplated writing TBLP.Â As well, Paul Quarrington won the 1988 Leacock Medal for King Leary, the same book chosen last year for CBC’s Canada Reads. We had dinner together and then the two of us read before a very generous and enthusiastic audience of nearly 200 at the Casablanca Winery Inn.Â Mercifully, I read first for about 25 minutes and then answered a few questions.Â Then Paul read from his latest novel, The Ravine, and he was hilarious and wise. 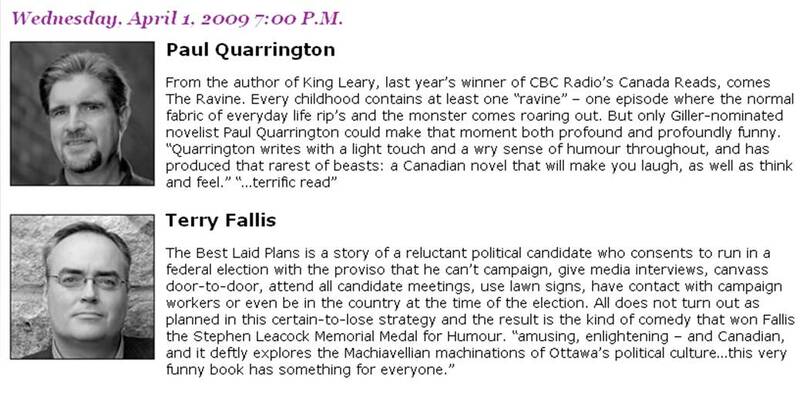 A local bookseller took care of book sales at the event and I’m pleased to report that TBLP sold out.Â On the drive home after the reading, Paul generously inscribed each of my Quarrington first editions. An evening I won’t soon forget. 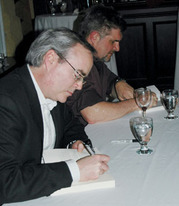 I just stumbled upon an article in Niagara This Week about the evening.Â Here Paul and I are signing at the Grimsby Author Series.